So for my 100th entry I decided to do all of your ideas! Thanks guys! My First Game at Fenway Park. 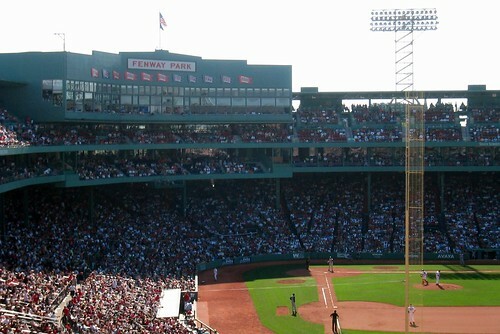 My first game at Fenway was in 2008 during the summer right after summer camp. It was a night game against the Oakland A’s and Jon Lester was pitching for the Red Sox. My dad, mom, sister, and I sat right next to the Pesky Pole out in right field. It was Jason Bay’s second game as a Red Sox. The first time he went up to home plate he got a standing ovation. Latter in the game Bay hit his first home run as a Red Sox over the Green Monster if I recall correctly. There were two drunk, rude people sitting behind us. I didn’t get any autographs that game but I was really close to getting Dice-K. He was only maybe three or four people away from me. My dad ran down trying to get his autograph but was unsuccessful trying to get it. The Red Sox won that game by a blowout score. I think the score was nine to four or nine to five. I love Big Papi so much I dedicated my commenter name to him, Bigpapi72. He always comes through in the clutch. I mean how many walk of home runs has he hit? 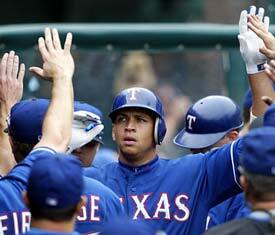 He “acts up” just not like Manny Ramirez. It seems like sometimes he hits a home run after home run after home run when he hits the ball. Now David Ortiz is a lot of Red Sox fans’ favorite player but I am his BIGGEST fan. I am also Dustin Pedroia, Jon Lester, and Jed Lowrie’s biggest fan and they are my second, third and forth favorite players! I know many of my readers will say, “I like Pedroia more then you,” or whoever but trust me you don’t. Big Papi is like a “giant teddy bear.” I think I got that from a Sports Illustrated and whoever wrote that I agree he is giant but I am not sure if he is a teddy bear. Now before I begin I would like to say one thing. I was a Yankee fan. This was before I started to play tee-ball and learned the game though. In my family your either a Royal, Red Sox, Yankee, or Brewer. My mom grew up in Kansas City and I have family in Milwaukee. One of my Uncles is a Yankee fan. Now I 100% HATE the Yankees. I could show that to you with words that would ground me but I don’t want to get grounded. No, I hate the Yankees but at the end of the day who cares. Just seeing if you were awake. I believe in baseball you should respect everything with the exception guys who toke steroids, even Pete Rose. The exception to that exception (wow that sounds a little weird) is to Andy Petite. I hate the Yankees but I respect them just like any other baseball team weather it is the Rays, Astros, Dodgers, D-Backs, or even the Pirates. When the Red Sox win I get happy. When they won the World Series I screamed and no one wanted to be in the same room as me because I would talk all about the everything, from a play to a pitch to a home run. So far I’ve only seen one game where the Red Sox have lost. At summer camp we get the scores and the news from the world of sports. I would get the sheets from the director and look at them for maybe an hour, memorizing scores, home runs, and the winning pitcher. When the Red Sox lost I would blame it on something and I would stop wearing that hat or whatever for a while. I don’t care what it takes (as long as it is legal) for the Red Sox to win. All I know about when I loved the Red Sox it was around the end of the 2006 season. In 2006 I really started liking and understanding baseball. Before then I was a Houston Astros fan. I am still one today just by not as much. I started out as a fair weather fan, cheering for what ever team was good but then I got locked on to Boston Red Sox baseball after they refused to be bad. Last night I was looking back at the Red Sox new uniforms and I thought at lest they didn’t change their name. Well if the Red Sox had to change their name here would be the three least likely competitors. If the Red Sox were every the Red Blood Cells, I would freak. This name is just stupid. Who wants a jersey with “Red Blood Cells” written on it, well I guess Red Sox fans would. At lest it’s not something stupid like “The Boston Red Blood,” because you can and should just drop out the “red,” I mean what other color is blood, (no not blue that is a myth.) Also Red Blood Cells is a very scary name (NOT) I mean if you knew nothing about a team but their name would you be scared to face them, probably no. What team is stupid enough to move to their number one rivals city then change their name to their number two rivals name? The Red Sox aren’t, the Yankees maybe. First off that would mean all Red Sox fans would have to drive an hour or so, to just see their “home” team play. Second what happens when the New York Rays play the Tampa Bay Rays. What if B.J. Upton throws the ball at Youk thinking he is on his team. I’m sure though that their uniforms would have to be different though. 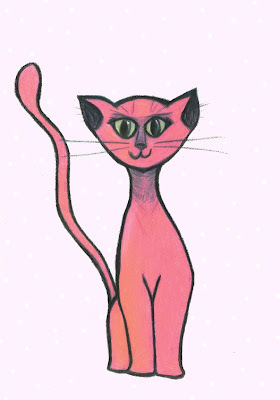 Sticking with the misspelling theme (Sox and Kats) The Boston Pretty Pink Kitty Kats is probably the lest scariest name ever (well . . . the name Red Sox isn’t that scary). Kitty Kats aren’t scary, the fact that their pink doesn’t help at all, and being pretty will not scare off the Yankees are Rays anytime soon. We would have the A’s, Reds, and Astros laugh at us. What is an Astro anyway? The Name is also way to long. So if you had to choose a name what would it be? For me it would be The Red Blood Cells.